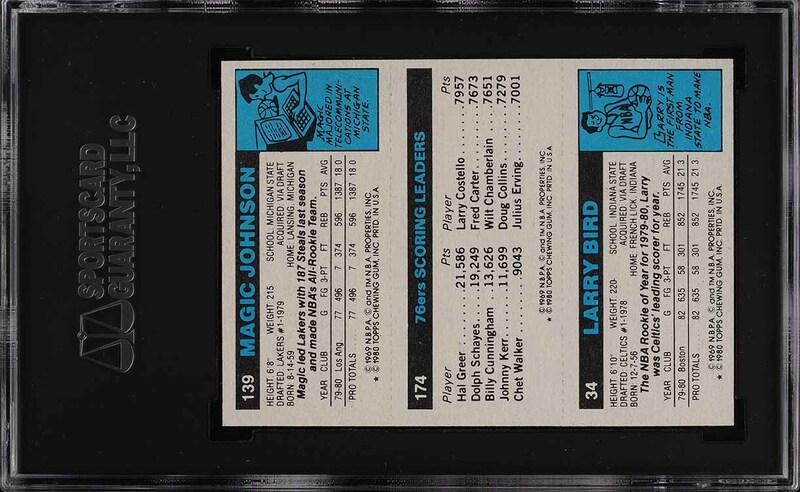 Among the most pervasive and hotly desired modern day trading cards in the world. Such an incredible stroke of luck that such a card even exists. 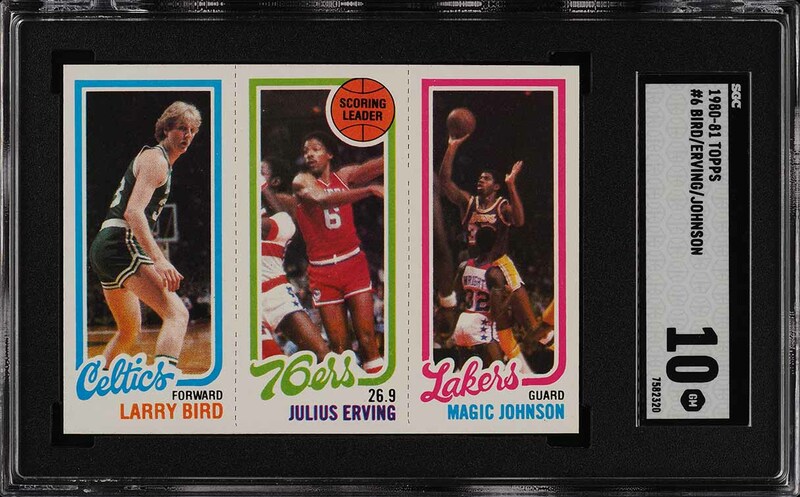 To think that the tri-panel 1980 Topps production would feature two the games immortal rookies on a single bookended design is simply astonishing; and oh yeah, just a humble Dr. J depiction center stage. That aside, this is also one of the very finest examples to ever surface on the market. Freshly assessed and having just returned from SGC, the offered GEM MINT 10 is easily among the finest few copies we've ever seen. Superior to many of the other 10s on the market in our opinion boasting exceptional surfaces, four immaculate corners, and print worthy of a museum. This card simply does not surface with quality of this standard very often. Even the perforations are dead centered! If you've been in the market for a world class example of this market critical blue chip, look no further. Virtually impossible to replace or improve upon and comes with our highest recommendation. One of nearly 15,000 cards, lots, and sets up for bid in our 4th Auction of 2019. Click on the link above to view the other PWCC auction lots. The PWCC Vault is now live! Open a PWCC Vault account and receive a custom Vault shipping address. Purchases shipped to the Vault receive free shipping and reflect Oregon's 0% sales tax rate.